I would like to say thankyou to Adam Ahlbrandt for the personalised note he left me on the back of the dvd of his film “Cross Bearer”, it was a nice little touch. After having watched some of the features on the dvd, he strikes me as a really down to earth and smart guy. Anyway, Cross Bearer stars Isaac Williams, Natalie Jean, Victoria DePaul, Kacie Marie and Tim Cronin. It’s about a young stripper named Heather who is down on her luck. She works for a pig of a boss and gets hit on by creeps all day. Her and the girl she loves are just wanting to get away from their current lives. The “Cross Bearer” is a preacher of sorts, who is attempting to rid the earth of those who have sinned and used their body and soul for bad things. An organised drug deal is interrupted by The Cross Bearer whose goal is to kill every harlot in the group. 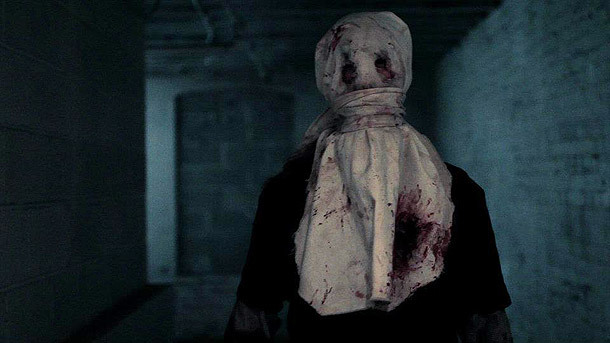 This is a pretty standard idea for a slasher, someone exacting revenge on a group of people etc, this one is done quiet well though considering it’s budget. Ignore the lack of originality and take it for what it is. It has really nice clear audio which is not an easy task because it takes place in a warehouse. Really great camera work and the solid production value are evident with the way the whole film looks. I found some of the profanity a bit forced but most of it was in the right context. The preaching and narration from the cross bearer got a little bit annoying though. 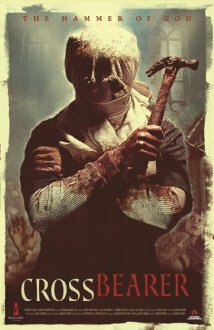 I like the fact that it was a serious slasher without the comedy but at the same time I’m an Atheist so “doing the lord’s work” means nothing to me, your just a psychopath (haha). No offence to Adam if he, himself is a religious man. I wasn’t a fan of a lot of the score however there was a particularly eerie sound effect using keys in several scenes, they worked well. The girls in this look really good as well. Plenty of stuff for the male audience to admire. It’s a really fast film that only runs 70 minutes. I’m not sure what the budget was but I’d imagine under $100,000. Some of the lighting is really dark in a few places making it difficult to focus on the actors. The acting overall isn’t too bad, I just found it a little bit inconsistent. Natalie Jean as Heather was the standout actress but I thought Harry played his role a little bit over the top, maybe it was written that way though. Some of the poor dialogue probably didn’t help matters for some of the cast. Where the film stumbles a bit it makes up for with the action sequences and the blood and gore effects. You get to see some commendable makeup effects in the first act of the film and it only gets better as it progresses. I like the way the killer looks, it’s very reminiscent of a Melissa George film called “Triangle” and also the classic suspense thriller “The Strangers”. I’m not sure if that played a part in the decision to have that look, but if it did it’s a good nod to those films. Moreover, I like the references to the standard slasher affairs and the conversation about what makes a good film versus a boring film. The actors had a little bit of fun with that. Personally I love both cheesy movies and huge Hollywood stuff as well, so it was interesting to hear the characters opinions. There were some great kill sequences that all occur with a claw hammer, nasty stuff. It’s not too graphic or done for shock value, it’s in a good fun nature. The gags with the girls tongue and the guy’s hand were the two best ones. I also liked the skull crushing scene though, most noticeably for the way the actress played it and the blood effects. Cross Bearer is just 68 minutes of pretty trashy fun. I liked a few of the special features on the dvd and I got more of an insight into what Adam wanted to achieve. He seems really professional and even stated “If you don’t like what you’re putting out, don’t put it out”. That’s a good piece of advice. I have seen some really terribly rushed films that fell flat when the original idea had so much potential. My main issue with this, is that the characters are all so unlikable. In the end you’re kind of rooting for the killer, which I guess was probably intended. I prefer my slashers with at least one protagonist though, even Heather wasn’t a good person! Regardless, grab a copy of this because It’s good fun. It has some really fun kill scenes, good blood and gore and to top it off it’s really technically well made. 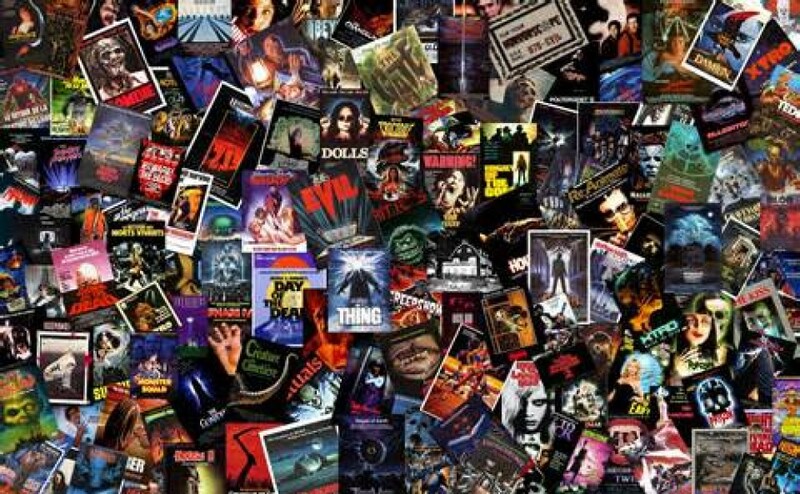 I will be keeping an eye out for Adam’s upcoming films “The Cemetery” and “Hunters” support “Adversary Films” and Adam.